In the domain of the service composition, the failure of a service generates error propagation in the other services, and therefore, it can generate the failure of the entire system. Usually, these failures cannot be detected and corrected only with local information. Normally, it is required the development of architectures that enable the diagnosis and correction of faults, both locally (elementary service) as well as globally (service composition). 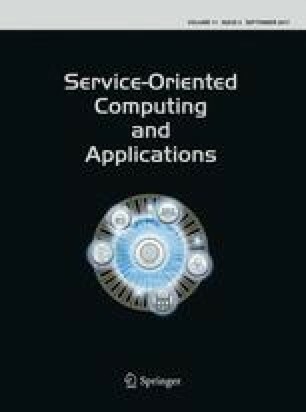 This paper presents a reflexive middleware architecture based on autonomic computing, which allows the distributed diagnosis of faults in the service composition, called ARMISCOM. This middleware has not a central diagnoser, instead the diagnosis of failures is carried out through the interaction of local diagnosers present in each service of the composition. These local diagnoses use a distributed chronicle approach proposed in previous works, which allows the recognition of fully distributed patterns of the classic failures in the SOA systems. In addition, the repair strategies are defined through consensus of the repairers, equally distributed between the services of the composition. The repair strategies use the concept of “equivalent regions” defined in this paper, for the fault correction in a SOA application. This work has been supported by FP7-ICT IMAGINE research project (European Commission, Grand Agreement No: 285132), and the PCP program “Supervision and maintenance tasks in a shared organizational environment”. Dr Aguilar has been partially supported by the Prometeo Project of the Ministry of Higher Education, Science, Technology and Innovation of the Republic of Ecuador.